British Corner Shop, recently rewarded a place in the Sunday Times BT Business SME Export Track 100, gave Gloucestershire businesses a chance for export in May. 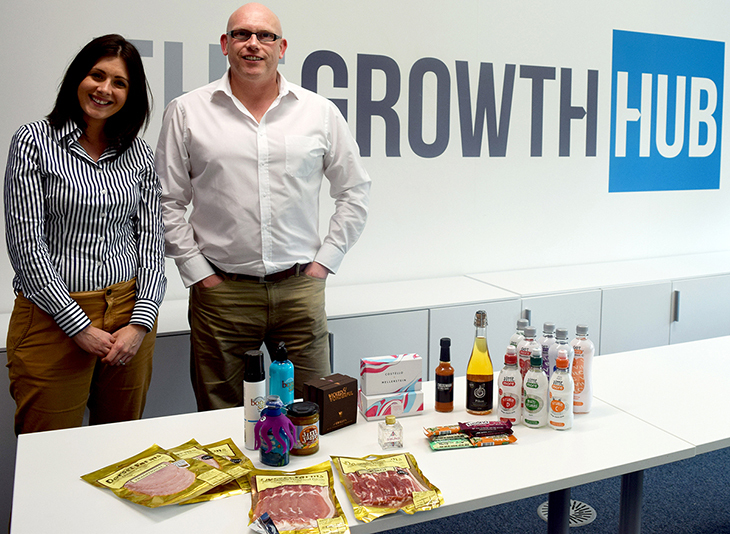 Hosting the Dragon’s Den style event at The Growth Hub, the distributor was looking to add quality, local suppliers to its product line of Heinz, Walkers, Weetabix and other famous brands. Having also been shortlisted as one of three export finalists in the Bristol Post Business Awards, British Corner Shop exports to 138 countries worldwide and last year delivered more than four million products. By ordering through an e-commerce site, expatriates can enjoy their favourite brands abroad; whilst retailers, bars and restaurants can also buy wholesale. Referred to The Growth Hub by a contact at a local branch of Santander, British Corner Shop met with business contacts of UK Trade & Investment, GFirst LEP and The Growth Hub. 13 businesses attended the event; including Sibling Distillery, Costello and Hellerstein, Cotteswold Dairy and Benjamin Chocolatier. Each had 30 minutes to pitch their products to British Corner Shop. To discover similar opportunities and register for future events at The Growth Hub, keep an eye on our calendar.